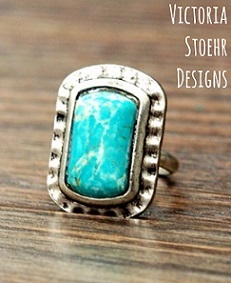 Natural turquoise hammered edge ring. Adjustable by pulling/pushing bronze ring band. Natural stones may vary in size, color, or shape.